Head into a branch of Waterstones today and you'll find a shelf – if not a whole section – of vegan and vegetarian cookbooks. The Guardian, Telegraph, Independent... and many more newspapers published lists of recipe books to spur people on through Veganuary 2019. The volume of vegan cookbooks in the UK is growing so fast that it's almost impossible to keep track of them all. That's why I'm always surprised when older vegans or vegetarians call me at V for Life, and talk about one specific cookbook or chef as if I'm bound to know who they are. "You haven't heard of Eva Batt?!" "No, I haven't actually. Who is that?" "Author of What's Cooking! 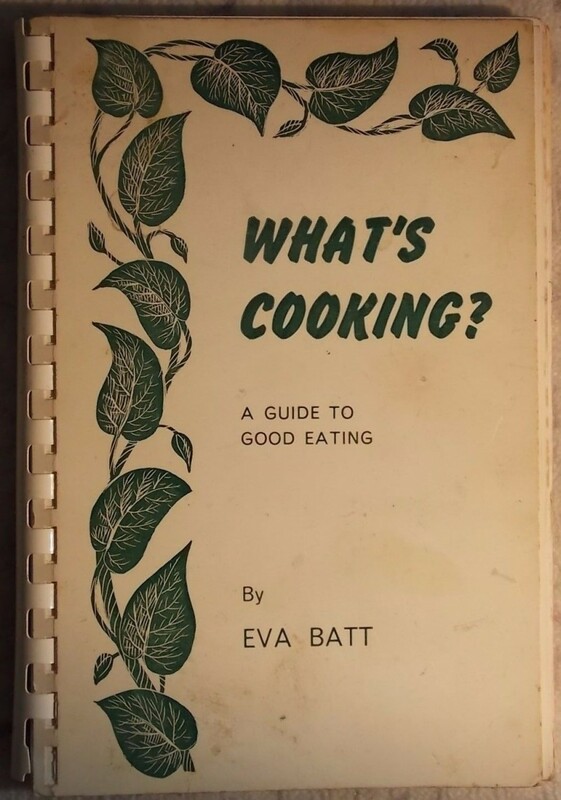 You need to look this book up, it's got lots of good recipes in, everyone used to have it." I promise to look up the cookbook. When I do, I always get a slightly uncanny feeling – the cover seems somehow familiar, it's almost like I'm finding out about an ancestor I hadn't known existed. I imagine how the author must have felt, explaining to people that they wrote vegan cookbooks, long before the recent boom of veganism. I wonder how they'd feel if they saw how big the vegan section is in bookshops today. Which books did you rely on, back when veggie recipes weren't readily available on the web? We'd love to hear from you in the comments below. When my Mum was a caterer she always used Vegan Vitality by Diane Hill and a few books by Sarah Brown. The upside of having your parent as a caterer meant that she’d test recipes out on me first before serving to customers! Although my Mum wasn’t veggie or vegan she always made a huge effort for people with different dietary requirements, she never used computers (and still doesn’t) so she’d visit the local library or keep her eye out for books in second hand shops.